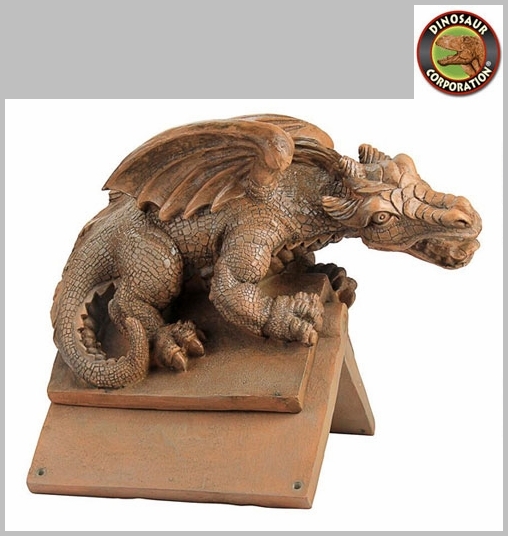 Winged Dragon Roof Cresting Statue. 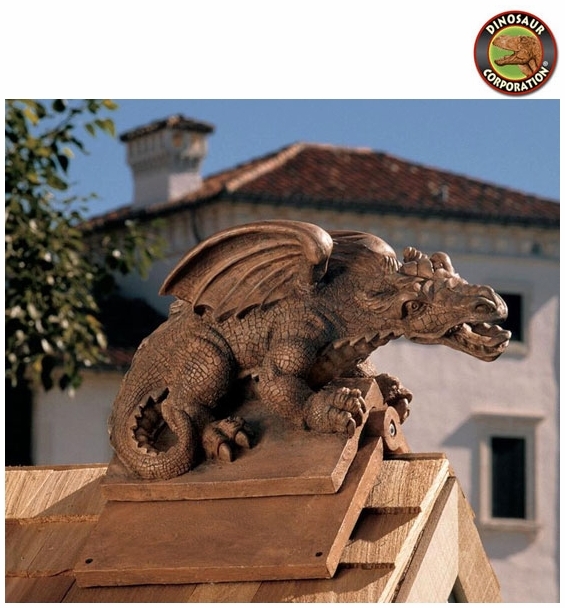 Our dragon garden outdoor roof cresting�s commanding presence catches the eye of passersby from atop your home�s pinnacle. Ingeniously engineered with a hinged mounting base to sit astride most roof pitches, this winged dragon perches on muscular rear haunches with his cocked head alert to lurking danger. Meticulously sculpted and cast in designer resin. * Size: 21" W x 16�" D x 16�" H.
* Dragon without base: 9�" W x 19�" D x 12" H.